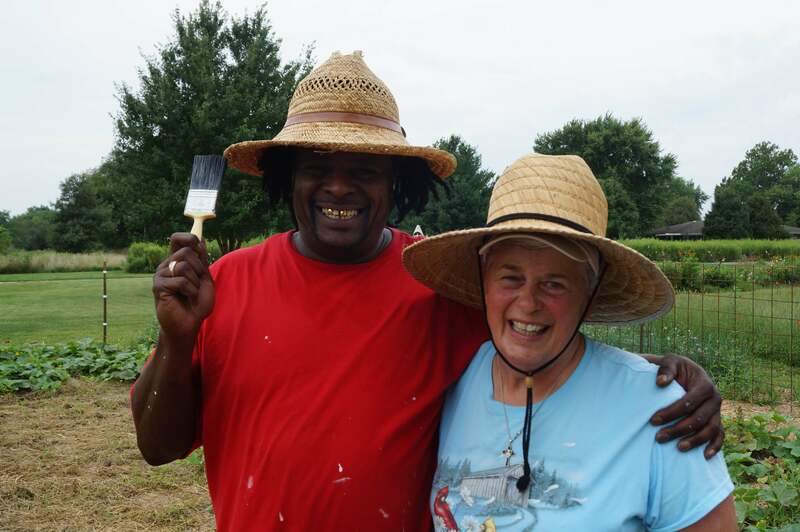 Aaron Dickerson and Sister Suzanne take a moment from tending the gardens around the grounds at Jubilee Farm. Beginning April 15, 2019, we have plants for sale. The staff will be focused on the General Chapter meeting of the Springfield Dominicans the week of Sunday, April 21- Sunday, April 28. 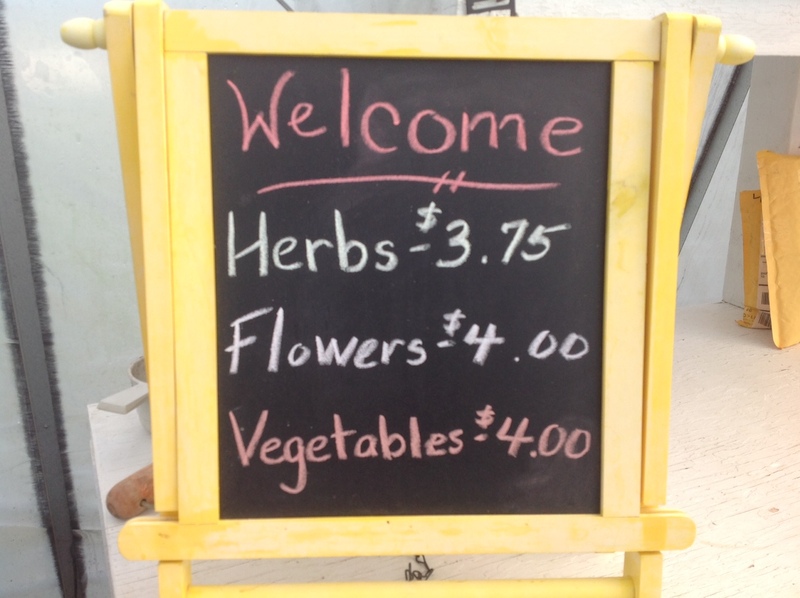 After the short break, we will begin selling plants again April 29. We will NOT be selling plants April 22 to 28, 2019. Vegetable plants will be sold at the beginning of May. Celebrate the return of Spring and purchase vegetable seedlings for your own gardens! Enjoy the scents and sights of this new season. All Plants Grown from Organic Seeds! Monday – Friday from 8:00 am to 3:00 pm. Saturday from 11:00 am to 3:00 pm. Call 787-6927 for those herbs currently available. Welcome! 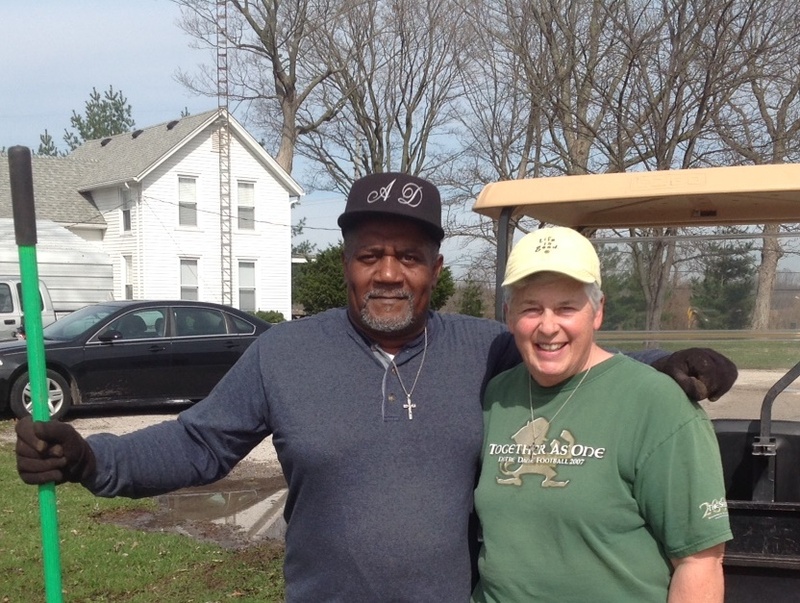 Norman Pearson and Sister Suzanne Donner, OP painting and working on gardens back in 2016. Sister Suzanne’s annual seedling sale brings a lot of people to the farm each spring. 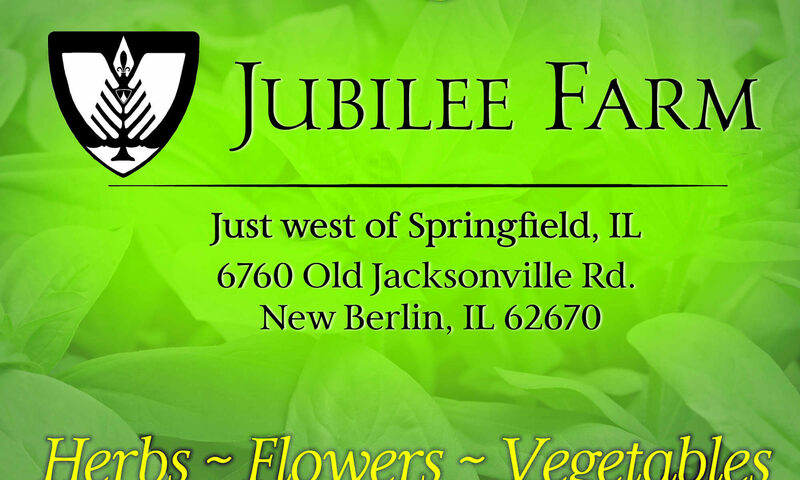 Over the spring and summer Sister Suzanne will be working with sisters, associates and volunteers that “Adopt a Garden” around the grounds at Jubilee Farm. Norman now works at the motherhouse in Springfield. 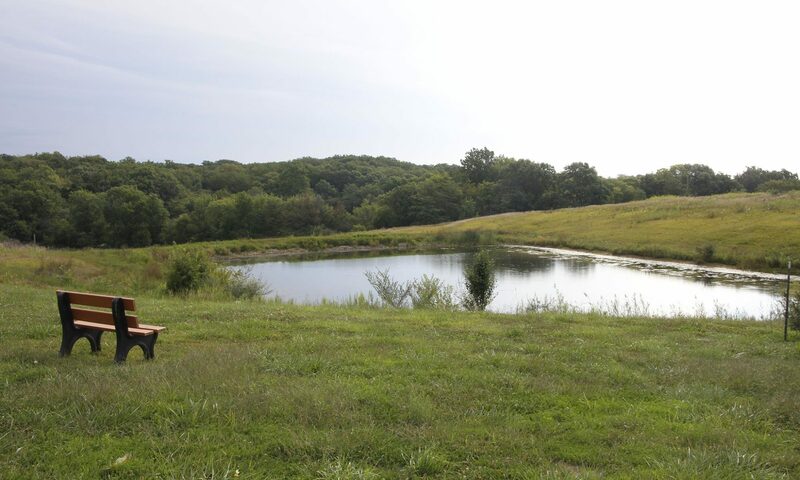 Previous PostPrevious Join Us for a Bird Banding Event at Jubilee Farm!